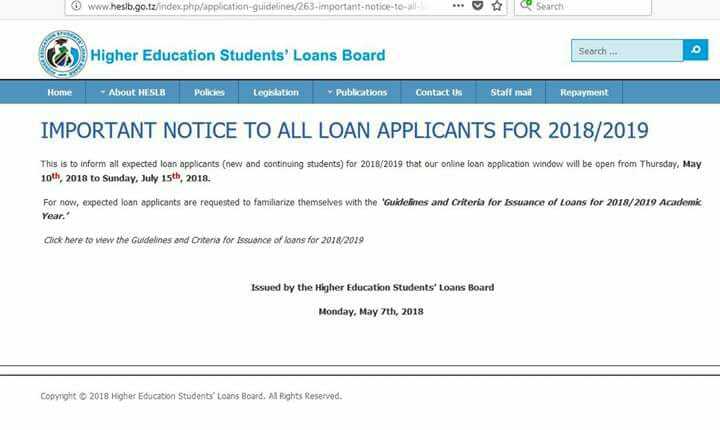 Home / NEWS / HESLB: ONLINE LOAN APPLICATION ANNOUNCEMENT ON THE DATE TO OPEN WINDOW FOR APPLICATION. 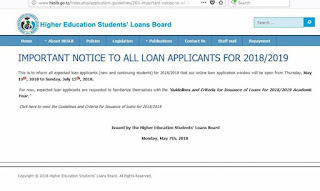 HESLB: ONLINE LOAN APPLICATION ANNOUNCEMENT ON THE DATE TO OPEN WINDOW FOR APPLICATION. This is to inform all expected loan applicants (new and continuing students) for 2018/2019 that our online loan application window will be open from Thursday,May 10th, 2018 to Sunday, July 15th, 2018.